Dr. Jennifer Martin, Principal of Dartmouth Middle School, was promoted to the Director of Special Education at the Board meeting on March 6th. 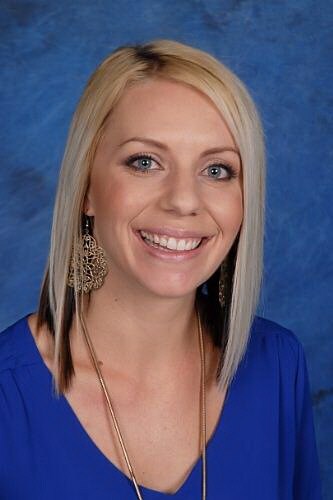 Dr. Martin is beginning her 13th year in education and seventh year at Hemet Unified School District. She received her Bachelor of Arts degree in Liberal Studies and Masters of Educational Administration from California State University, San Bernardino. She also received her doctorate in Organizational Leadership from Brandman University. Dr. Martin said she is excited about the transition from a Principal to the Director of Special Education and supporting students in a broader capacity. Her focus will be to aid in bridging the gap between general education and special education services and providing a cohesive, integrated support system for all students. Dr. Martin said her new position will allow her to support students in a different way by cultivating inclusive practices for all students. She will be working with various departments throughout the district to discover new ways in which they can support the diverse needs of students with special education services. She also plans to build upon the Multi-Tiered Systems and Supports (MTSS) and create a strategic plan that helps all students who may be struggling in school. Her goal is to create a process that supports teaching and learning for all students, which will minimize students referred to special education and increase the number of students exiting.